First things first! How awesome is the cover, I absolutely love it and it suits the story within perfectly. The Legacy Human is the first book in the Singularity series and unfortunately started off quite slowly for me so I originally put it aside and started it again recently when my mood suited which I’m pleased I did because it is an interesting, creative world Susan Kaye Quinn has created. Seventeen-year-old Elijah Brighton is a legacy human, kept because of his genetic code, he is fiercely loyal and has a passion for art. His dream is to become an Ascender so that he can possibly get the medical assistance that his ill mother urgently needs. Eli was a great character, I usually like my male leads with a little bit more self-assurance and strength but what I felt he lacked here he made up for with intelligence and devotion. There is also something a little ‘different’ about Eli that was hinted at in the beginning that I was quite eager to learn more about, I found this aspect interesting and was explained well. When Eli is given an opportunity to compete in the creative Olympics, he is more than willing despite the fiercely competitive opponents, as well as political games from the Ascenders. The plot is original and thought-provoking, what started as a slow paced read for me picked up and kept me thoroughly entertained. The richly detailed world Susan Kaye Quinn has built is imaginative, intense and unique, I enjoy a good sci-fi dystopian, the Ascenders who are part human part machine are now the dominant species and the humans are more or less their slaves, the Olympics that the Ascenders held were competitive and thrilling. All of the side characters were interesting and played an important role overall, I found the Ascenders and their unusual ways to be interesting but I never quite knew whether or not they could be trusted. I loved the friendship Eli shared with Cyrus. 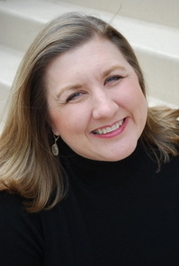 Susan Kaye Quinn’s writing is crisp and engaging, the world-building is unique and the plot once it took off became an action filled adventure. 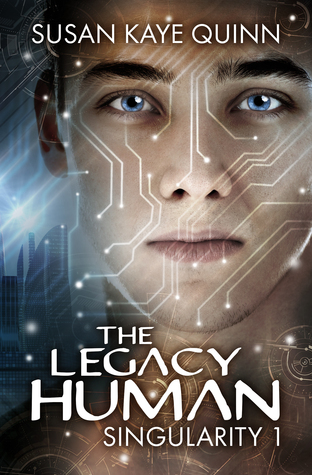 The Legacy Human is a nice start to this futuristic dystopian series. I definitely agree about the cover! And the synopsis makes it sound like a pretty unique book - I can't say I've heard anything like that before!